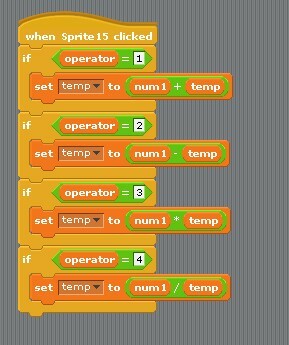 Have you ever imagined teaching a 7-10 year old child a programming language and instill that interest? Well if you try to teach them C# or VB.Net then I guess they will loose interest in a second but if you really want to start teaching them early then there is a good tool for it which is called Scratch. Teaching them at an early stage will let them develop that programming skills earlier in life which can leverage them on learning at a later stage. I still remember when BASIC and Pascal was introduced to me when I was in 3rd year highschool I was 12 then, I was already amazed on what it can do while using a monochrome monitor and a CPU with a Turbo button. The things I learned during that period helped me a lot in developing my Progamming Skills which is my bread and butter now. 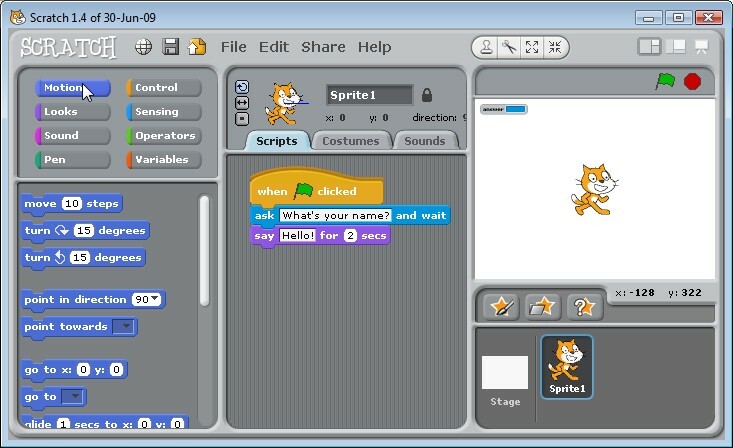 Scratch as defined by wikipedia is “an educational programming language that allows people of any experience background and age to experiment with the concepts of fully versatile computer programming by using an alterable GUI”, it is free and you can download it at http://scratch.mit.edu/. 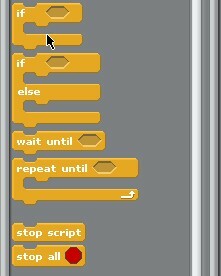 It is a cool new approach in programming that will let a child have that interest as the GUI is a bit intuitive, its colorful and you can navigate and develop by just point and clicks! It’s like Paint meets Visual Studio. 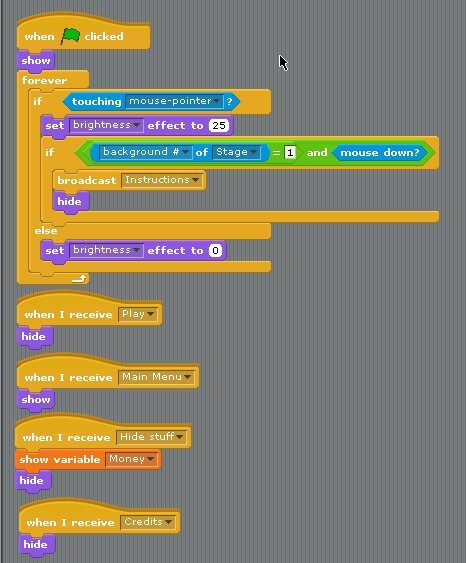 Scratch was introduced to me by my daughter which apparently they are using at their school, she even have developed some small animations on her own. Its really easy to lean and it is intended especially for 6- to 16-year-olds. So if you have kids, nieces or nephews try to teach them a skill that you have while they enjoy. Sensing – This conrtols the input aspects such as keyboard and mouse entries. 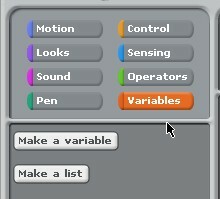 Variables – Contains methods for creating variables and arrays. Now if you are observant, you may notice that each elements or items are like puzzle shapes, that has a big importance in its UI and let kids know which fits where, so you cannot create a sequence or a condition if the shapes dont fit on the proper place. To have an idea what I am referring to look at these examples. It looks fun right? It may seem too childish for a programming language but look at the different intricate projects that have been developed using Scratch from games, to scientific calculator even 3D Rendering. You can download an assortment of projects here for reference. So why not give it a try and download it now and teach a child you know. Good luck!